Our panel of experts give their thoughts on how to speed up ID and verification processes in the contact centre. For voice calls you can use Caller Line Identification (CLID) to identify the caller by their telephone number and bypass potentially time-consuming data entry within the IVR menus. CLID also gives contact centres the option to route the caller directly to the right advisor or advisor team to help with their enquiry. This tactic alone will typically save up to thirty seconds per call. Once the customer gets through, rather than asking them to input lengthy details to verify identity, why not provide them with an individual four-digit PIN code that uniquely identifies them at the start of every call? If your platform has stop–start recording capability (often used for PCI compliance where credit card details are being taken), then it is possible to use this to ensure the four-digit PIN code is securely protected every time it is used. And, to improve efficiency further, the contact centre can play a recorded reminder while the customer is waiting in queue to remind them to have their PIN code ready. One cause of customer frustration is having to repeat the same details to multiple advisors during the same call, or enter the details via a keypad and then repeat the same details once they get through to a live advisor. The problem is that the need for secure processes to verify customers can often interfere with the need for an effective customer experience. By integrating your IVR, CRM and contact centre platform, it can be possible to design a secure, safe and effective ID and verification process that protects your customers’ privacy and ensures compliance with relevant regulation for your organisation. There is a greater expectation of convenience when using mobile devices, with many banks and retailers turning to inconspicuous but advanced technologies to better protect customers without inconveniencing them. This can be achieved using background checks of publicly available mobile data, which can be performed by the contact centre. Deploying sophisticated fraud detection such as SIM Swap and divert detection, as well as location checks, can ascertain user identity without the need for multiple security questions. SIM Swap detection can be run without disruption to the customer, and it offers an extra layer of identity authentication for complex transactions such as paying a new payee. Divert and location detection tools are also useful for protecting customers against fraud, by recognising when SMS messages are being diverted from the intended SIM card and alerting customers through alternative channels. Visual IVR is a secure way for consumers to contact the company at their own convenience. Compressing the service department into an app, the software requires the customer to log in on their phone and then presents them with various choices of department to get in touch with. After the first time, log-in and verification details are often saved in the app to avoid the tedious data-entry process happening every time. Many banking apps, for example, now simply require the customer to verify a fingerprint on the mobile app to proceed with any actions, thus allowing faster ID verification. As these intelligent apps blend with existing multimedia queues, customers gain all the benefits and flexibility of mobile apps with the reassurance that their requests are handled in the same way as traditional service channels. If the issue becomes too complex for the self-service portal, users can seamlessly transfer to the contact centre, with all customer and other pertinent real-time data being managed immediately by the advisor’s desktop. Many contact centres are now using real-time speech analytics (RTSA) management in combination with voice biometrics to ensure ID verification while streamlining the security process. They do this, first, by keeping records of the voice pattern and signature of known telephone fraudsters and, second, using biometrics and analytics technology that instantly flags up on the system if one of these individuals is attempting to interact with the contact centre. It’s crucial that any business verifying a customer’s ID through an IVR system makes certain that the IVR in question is fully integrated into the contact centre. This approach will ensure that if the customer is subsequently passed through to a human advisor they won’t have to repeat the same information. Consequently, the contact centre reduces the time, effort and cost involved in ensuring ID verification, while maintaining the same high levels of security at all times. Many contact centres still prefer a manual ID and verification (ID&V) process, with customers repeating themselves or struggling to remember forgotten passwords and PIN codes. Cloud contact centre technology allows for DTMF (Dual-Tone Multi-Frequency) verification, where customers are asked to key in account numbers and/or PIN codes via an interactive voice response (IVR) system. Those numbers are checked against customer records, which are then presented to an advisor as required. Think of telephone banking. This approach reduces customer effort and keeps information securely within one system. By using passive voice biometrics, the customer’s identity can be verified seamlessly. The process takes place in the background of a natural conversation and advisors receive a notification in less than ten seconds to confirm the caller’s identity. By comparing the voice of the caller to his/her voiceprint in real time, voice biometrics provides a substitute to traditional authentication methods which is not only faster but also more accurate and secure. And customers don’t need to do anything in order to create a voiceprint. They just need to sign up to the service, and the rest is done seamlessly in the background, using their existing historical calls with the contact centre. This saves a huge amount of time per call – between 20 to 90 seconds on average – improving customer satisfaction while also enhancing the level of security. A caller’s telephone number (CLID) can be used to quickly identify and retrieve their personal details from the CRM platform and present these to the advisor as an automatic screen pop. This makes it much easier for advisors to complete ID and verification while enabling them to welcome customers efficiently. Contact centres could also introduce customer-specific PINs for quick and easy verification. Analysing calls through quality monitoring or interaction analytics will help the contact centre to identify the best way to remove any unnecessary steps to identify and verify a caller. By doing this, the contact centre will be able to create a list of the most common call scenarios, including specific issues and questions asked. Having access to this information will allow the contact centre to identify what prompts need to be changed or removed to ensure callers are connected with the right advisors more quickly. This can also be used to ensure advisors are hitting all the right security verification requirements through the applied use of scorecards. 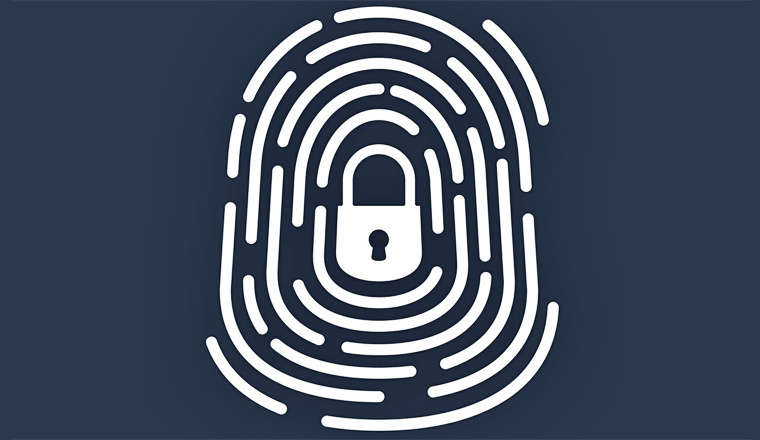 With advances in biometrics, including facial and fingerprint recognition, contact centres must look at solutions that offer the highest levels of security by allowing them to identify and verify callers based on their unique characteristics. In cases where maximum security is required on the phone, voice biometrics can be used in conjunction with a security question to provide an extra level of security. In addition, contact centres should look for solutions that free advisors from having to undertake the verification process, therefore saving valuable time and resources. This will also shield them from any access to sensitive identification information, delivering the trusted interaction that customers expect and that the regulators mandate. So, in cases where a security question is needed, maybe a message can be played while the customer is in the queue, asking them to be prepared to answer. What other techniques do you know of that could help speed up ID and verification processes in the contact centre? Please leave your thoughts and suggestions in an email to Call Centre Helper. What are the Best Security Questions for Call Centres?